UPGRADE TO WINDOWS 10 – It’s free. It’s easy. No worries. Jun 1, 2015 / No Comments on UPGRADE TO WINDOWS 10 – It’s free. It’s easy. No worries. WHAT MAKES A GREAT BUSINESS EMAIL SERVICE? May 31, 2015 / No Comments on WHAT MAKES A GREAT BUSINESS EMAIL SERVICE? May 13, 2015 / No Comments on COMPUTER REPAIR or UPGRADE? There are lots of good, free email services available, and aside from the fact that you can’t have a customised email address, see here, why wouldn’t you use them for business email? Full synchronisation with mobile devices; this is a a must. If you’ve read an email, or moved it to a different folder on one of your email devices, it should be shown as having been read or moved to a different folder on ALL of your devices. Some email services provide only limited support for email access meaning that you have to manage emails separately on different connected devices. This wastes time and can lead to inconsistencies across your devices. Access to calendar and contacts from all of your connected devices. Not strictly email, but now so common even in free services that it should be a minimum. In the olden days, our mobile phones used to hold a list of telephone numbers on the SIM card, and our PCs would have the list of email addresses. But now that we can send email and make voice and video calls from all our PCs, smartphones, tablets etc, we need to know that they all access the same up-to-date set of contact and calendar information. Ability to create email aliases. Even for a ‘one man business’ it can be helpful to provide a range of different email addresses for customers to contact you. Some of the obvious contact addresses to use include; sales@yourdomainname, accounts@yourdomainname or support@@yourdomainname. These give your customers and prospective customers an easy way to get in touch with you. That’s always a good thing, and depending on the service you use, can also be used to help you to organise and file email that you send out. Custom domain name. I wasn’t going to repeat myself, but I can’t help it. If you already have a web site, you really should be making use of your domain name (your website address) to take advantage of free marketing opportunities and to reinforce your brand. See this post for more details. And if you don’t already have a website, then please get in touch to find out what we can do for you. So, if you have a free email service that gives you access to these services, then well done, and let us know about it. Otherwise, you may want to consider upgrading to a paid for service such one of the Microsoft Office365 Business plans. I hope this has helped you, but if you have any questions or want more information on using cloud based services then please call Brosys on 01630 298228, email info@brosys.co.uk, or use the Contact Page. Many of the free email providers services are just fine for personal use; but what confidence do your customers have that your email has come from a legitimate source, rather than from someone masquerading as you. And what sort of message does it send…? Does it look professional…? If you want to send email with your own personalised domain name, but are unsure about how to get started, then contact us at Brosys for advice and help, and if you want a starter website, we can help with that too! Alternatively try Office365 (free trial here) and make use of the built-in facilities immediately, including mobile email access, team calenders and cloud based file storage. 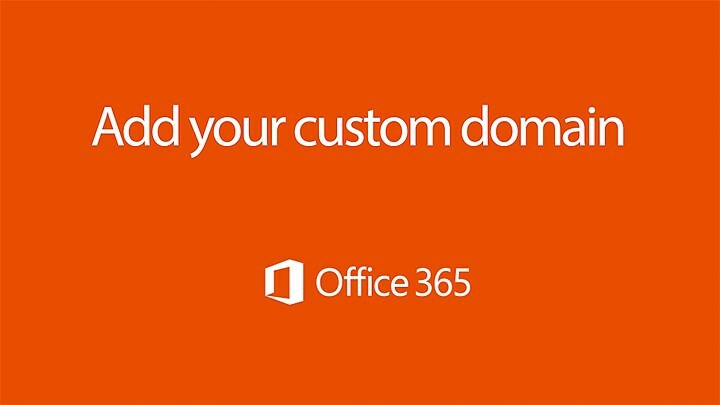 And custom email domain names aren’t just for business either…. what about one for your family, with an email address for each member, or as an unique gift for your partner? For more information about custom domain names, call Brosys on 01630 298228, email info@brosys.co.uk, or use the Contact Page.